Isn’t it just gorgeous?? 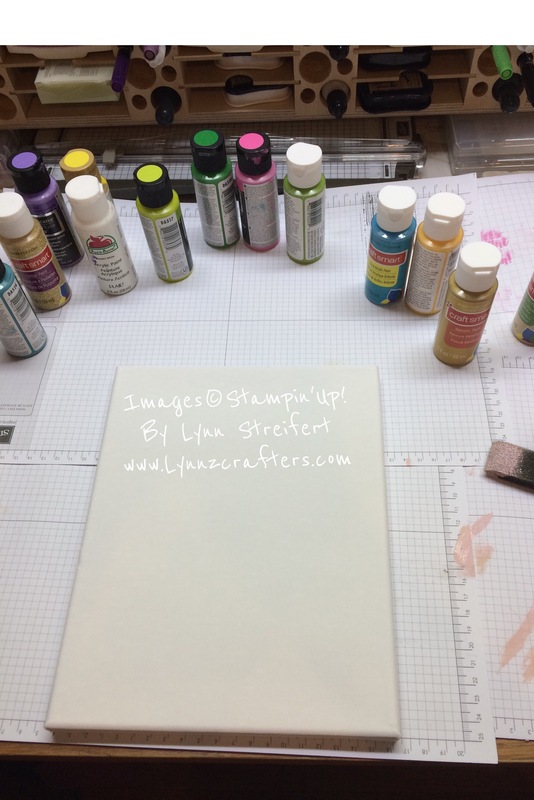 In addition to the canvas I also picked up some new acrylic paints. 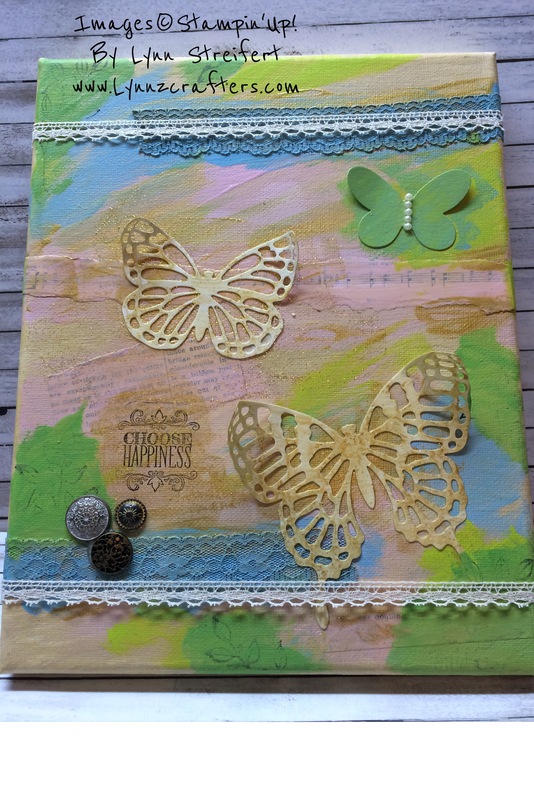 I pulled out lace ribbon, antique brads, stamps, stazon ink, and some designer series paper (DSP) as well as my butterfly thinlits dies. I went with the 8×10″ size canvas. 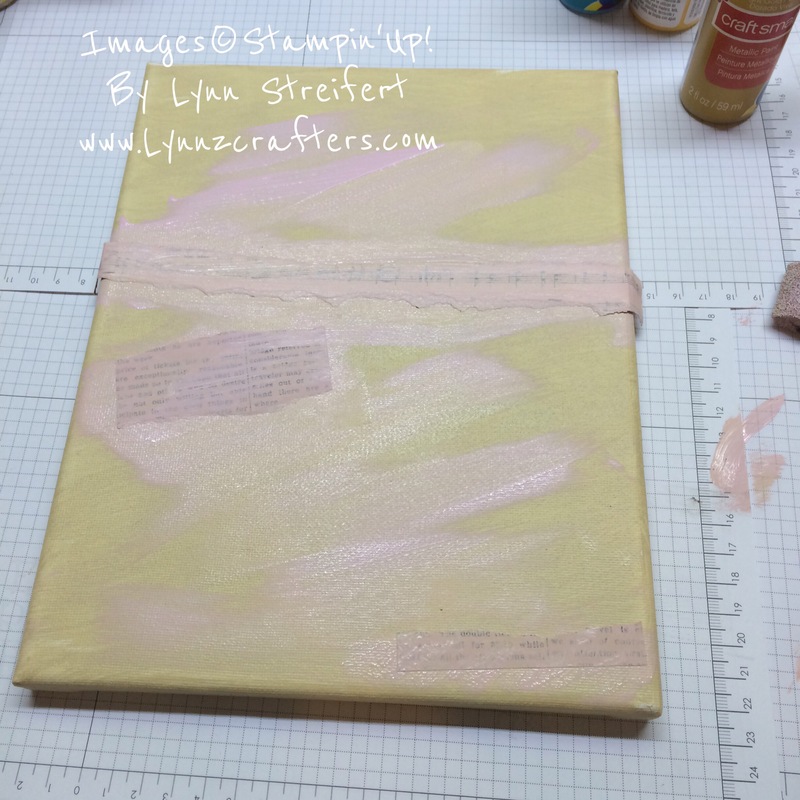 I played around with light colors over the antique ivory base coat. 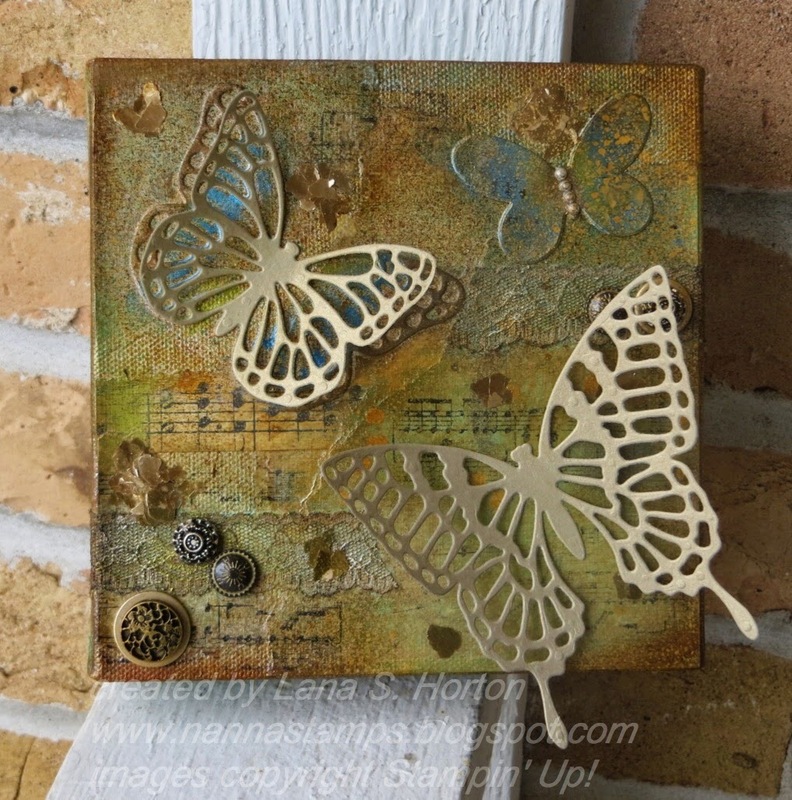 Layering paint, lace, DSP, added butterflies, brads and pearls at the end. 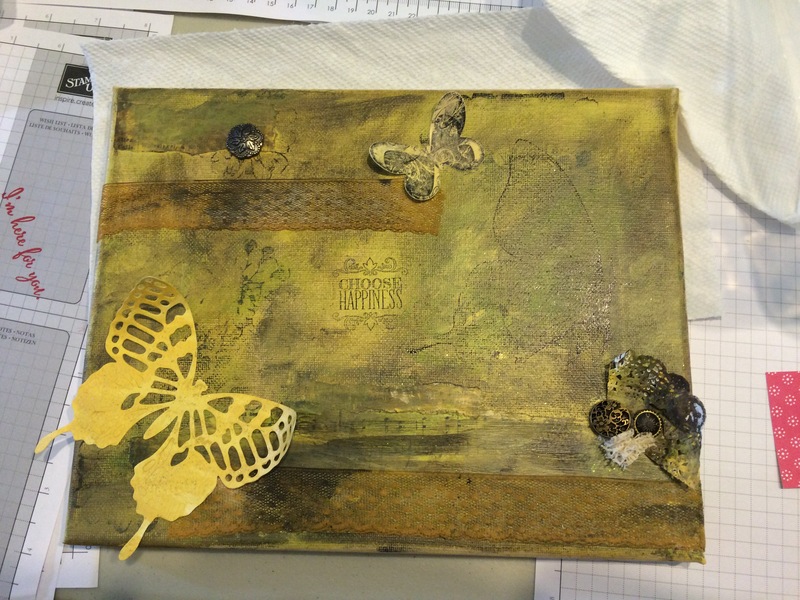 When I was all done, I applied Mod Podge (it acts as a sealer and will protect the project from light and help ensure the paper stays adhered in place). 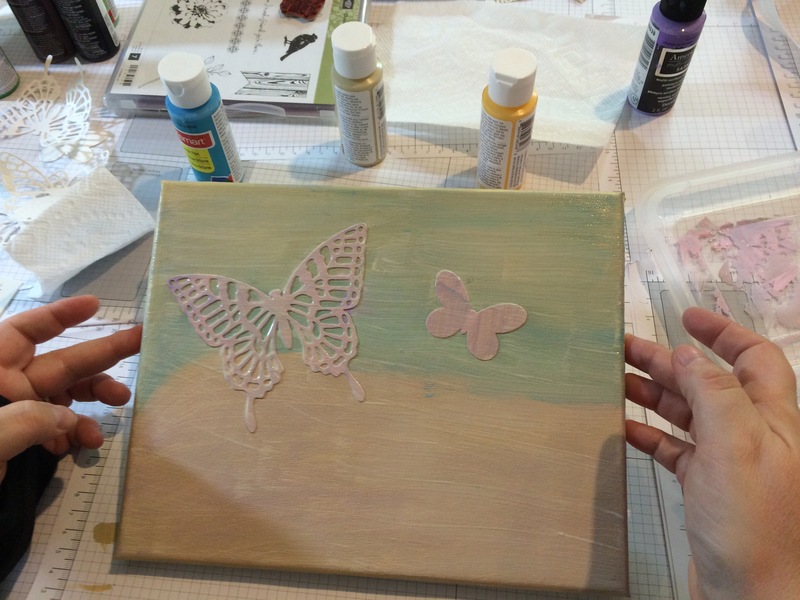 Amye and Tiffany were first up to create their canvases. 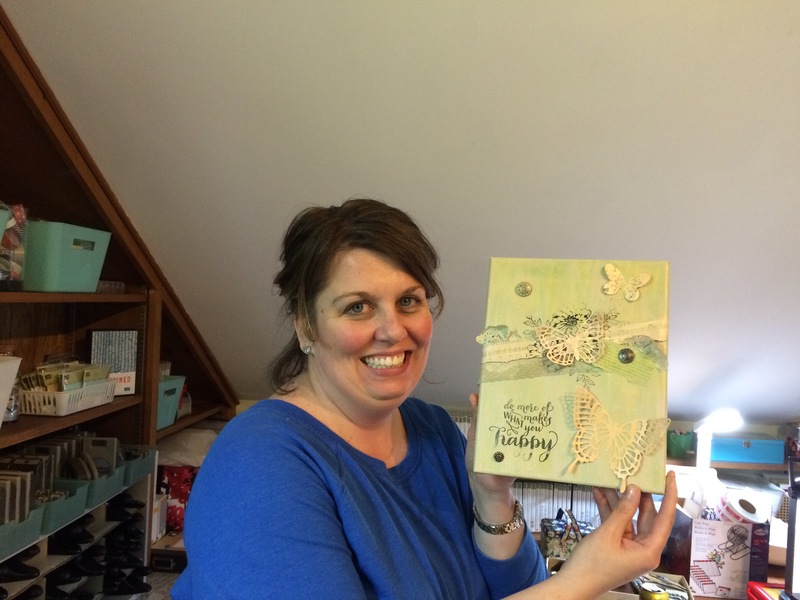 Here is Amye with her creation! 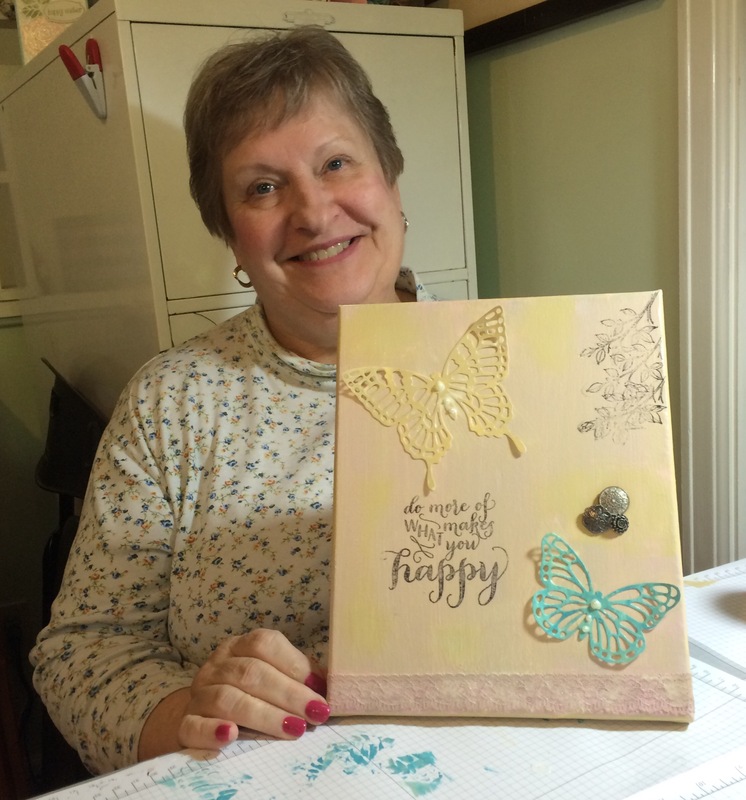 Here is Sharon with her canvas. Sheila went with the minimalist look, kind of beachy base. Brigid wanted to finish hers at home (she wanted to add pebbles and shells). I’ll share a photo once I see it. Just one of the things I love about this team is their willingness to experiment and try new things it’s a little “out-of-the-box ” but they all came out great don’t you agree? And we enjoyed cupcakes from Perreccas’s bakery in Schenectady to celebrate Sharon’s birthday. 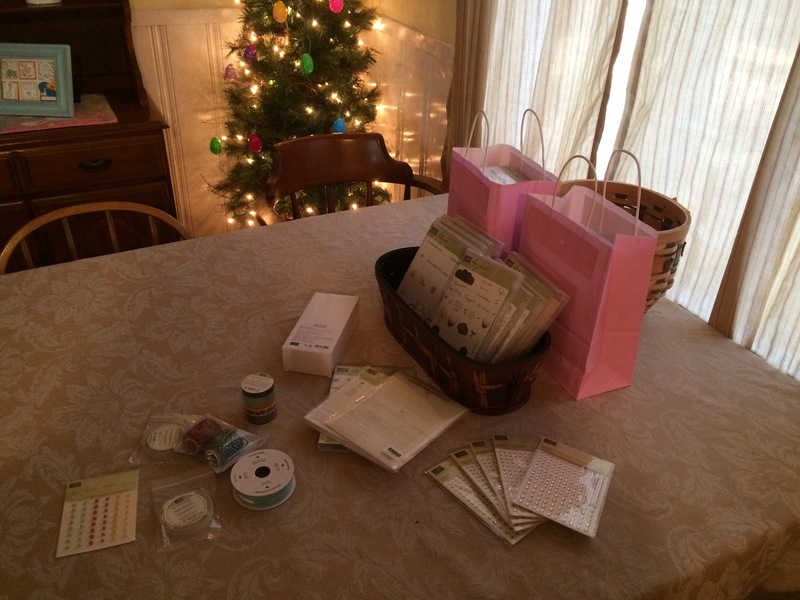 I like to spoil my team with rewards… This month was a bit more than usual (I like to thank them and show them how grateful and appreciative I am- for being on my team). 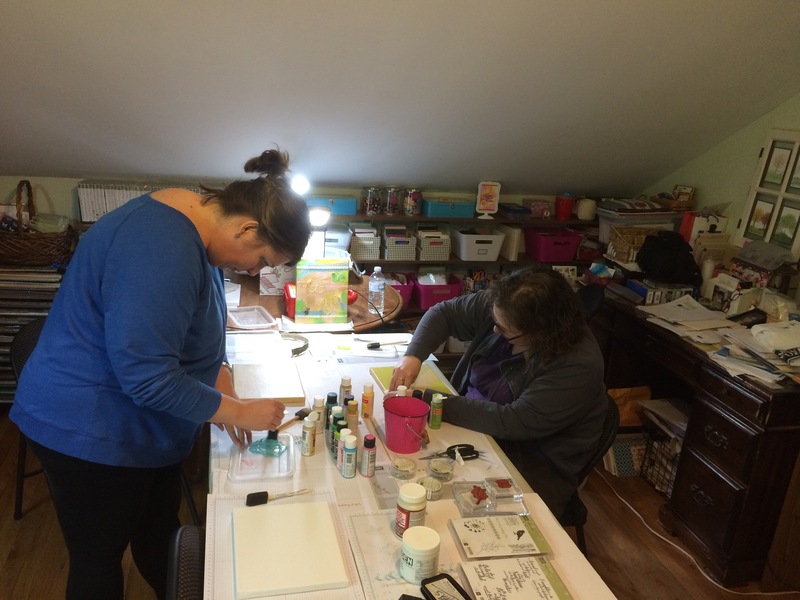 Wouldn’t you like to join my team? Just a few more days to enjoy the bonus rewards. 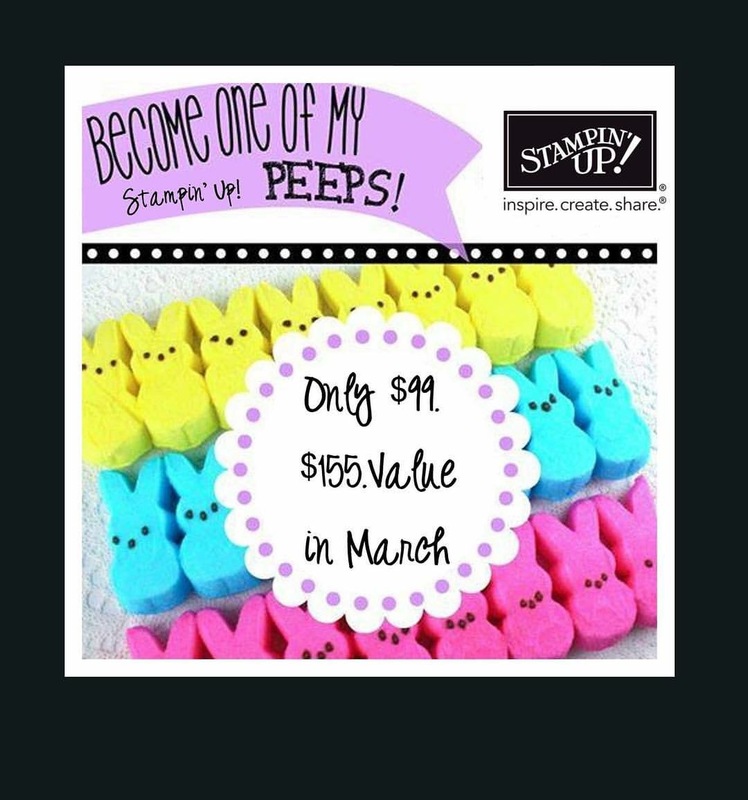 I would love it if you became one of my peeps! Have a glorious day! 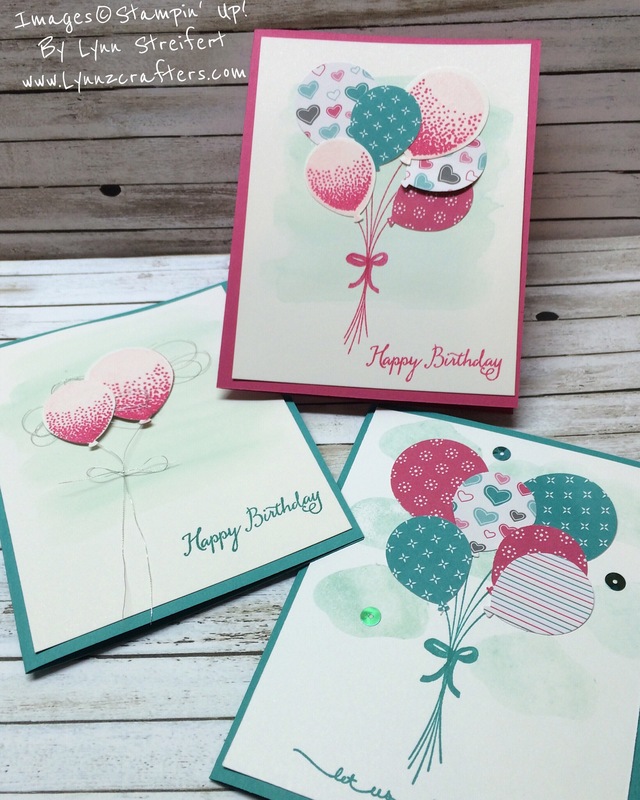 Thank you for stopping by my blog today! 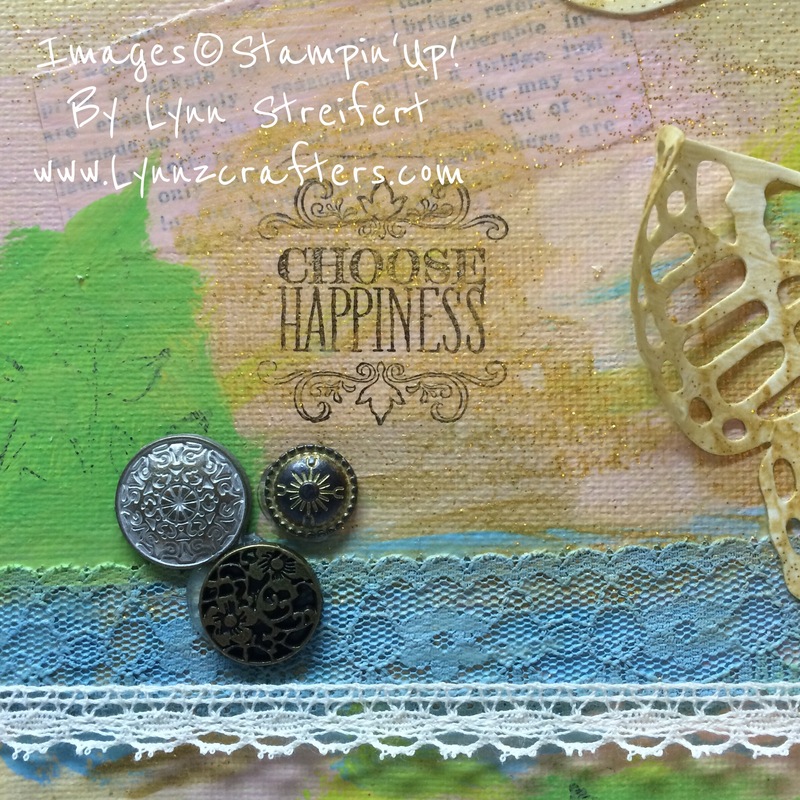 Lynn Streifert Independent Demonstrator, Stampin’ Up! 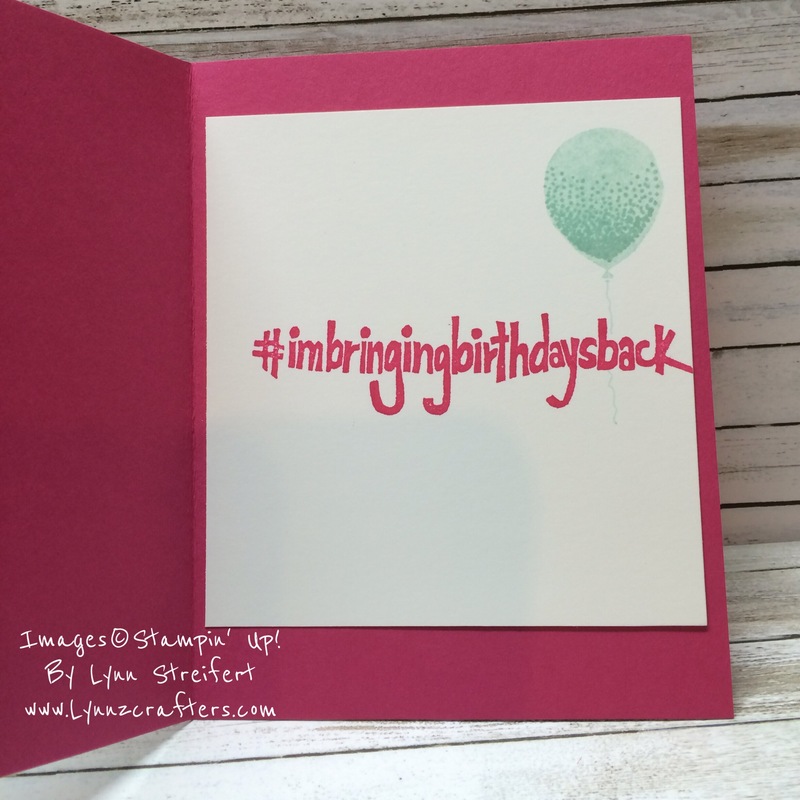 « Free Stamp Set? Yes, Please!